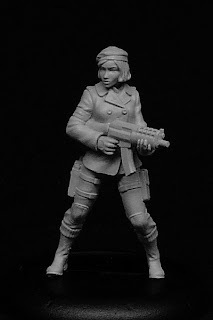 Statuesque Miniatures is pleased to announce the release of our Female Resistance Fighters! 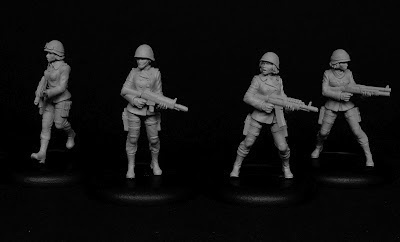 These 32mm tall metal figures all feature separate, poseable heads and separate SMG weapons allowing different combinations for more variety. 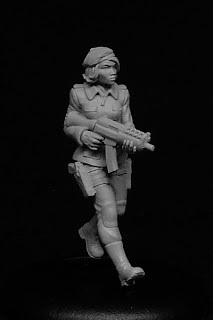 Also released are the first of a range of Resistance Fighter Accessories designed to fit the Resistance Fighter figures. Protect your resistance fighters with the Helmeted Heads and arm them for the stuggle with the Resistance Fighters Weapons 1. 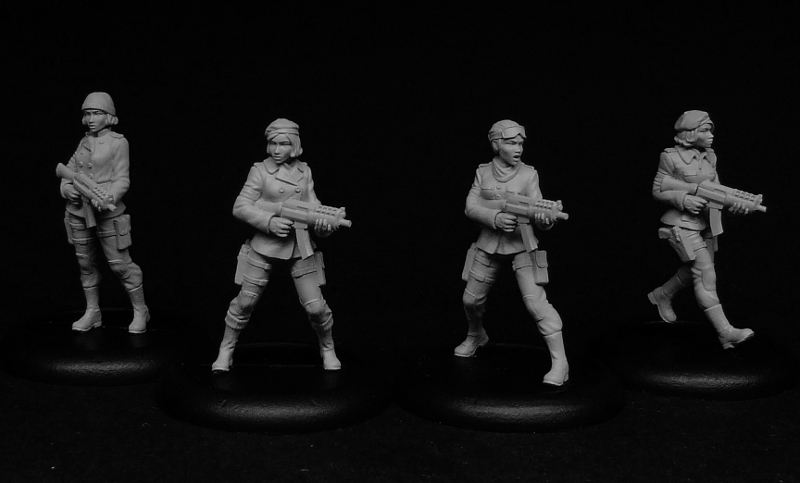 The Female Resistance Fighter set is priced at £11. Alternatively, purchase 2 sets for £10 each or purchase 3 or more sets for £9 each. The Resistance Fighter Accessories are priced at £1.90 each. 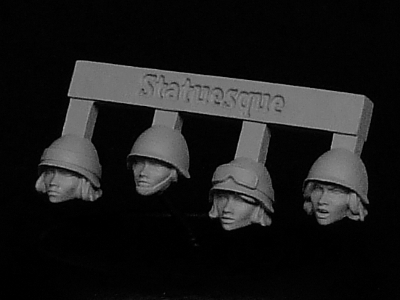 Purchase 2 or more Helmeted Head sprues and get a 10% discount on those items. 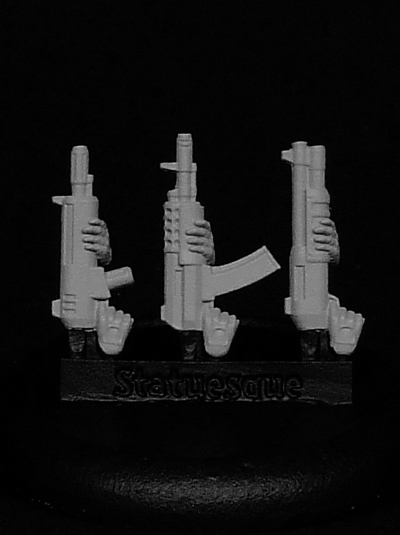 Purchase 2 or more Weapons 1 sprues and get a 10% discount on those items. 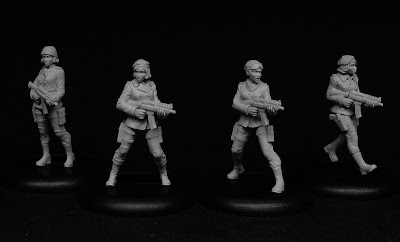 In time I will add specialist fighters and more head and weapon options, but don't hang around – Recruit your Resistance Fighters today for the struggle against oppression! I have also just put the finishing touches to the new Online Store. 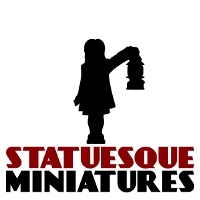 You can reach the store via the link on the homepage, or directly at statuesqueminiatures.shop033.com. Eventually, I'll redirect the old address to the new shop. I hope this new store will provide a better shopping experience, as well as allowing me to easily offer quantity discounts and special offers! If you have any issues with the Online Store please contact me. Quite nice! 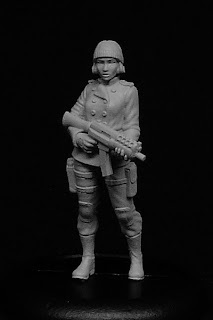 Any thoughts of introducing more "sci-fi" type weapons? Thanks. 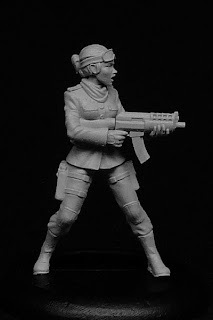 One of the specialist troopers I'm working on at the moment can be armed with either a sniper rifle or an 'experimental energy weapon'. It's not so much in the mould of a GW plasma gun or melta gun or whatnot, more like the Hydra guns from the Captain America movie. 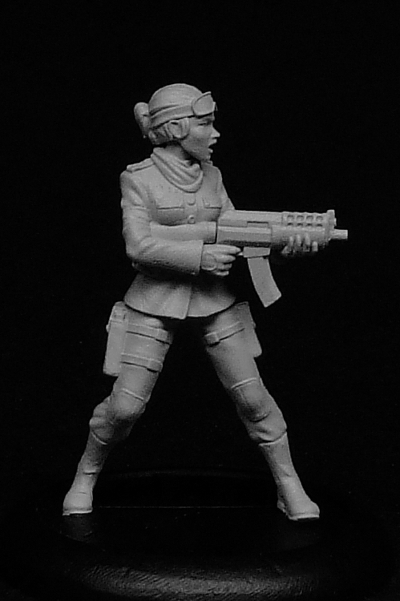 What kind of weapons did you have in mind?